Join the largest backgammon live community in the world and compete with players from across the globe for more than just bragging rights. Unlock new boards, special dice and charms as you level up and climb the leaderboard! You’ll love the exciting new twist we’ve added to this classic. Whether you’re a newbie or a seasoned expert, find the perfect opponent to take your game to the next level in the #1 backgammon game on Facebook and iOS. Roll the dice and play for free today! 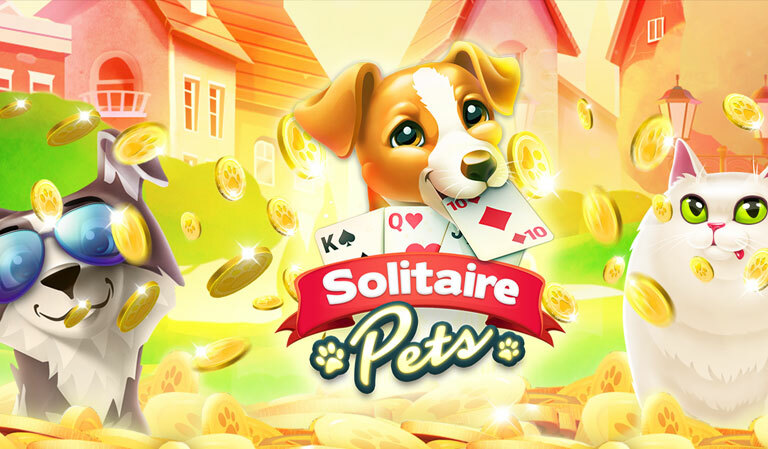 Immerse yourself in a world of action as you race against the clock and your opponent in Solitaire Pets. You’ll never think of solitaire in the same way again! Solitaire Muse delivers the only multiplayer solitaire experience in the world! Take on live challengers in real time! Be the quickest to clear your cards to win! Unleash powerful boosters, level up, and become a Solitaire Muse master! This ain’t your granddad’s solitaire…play now for FREE!